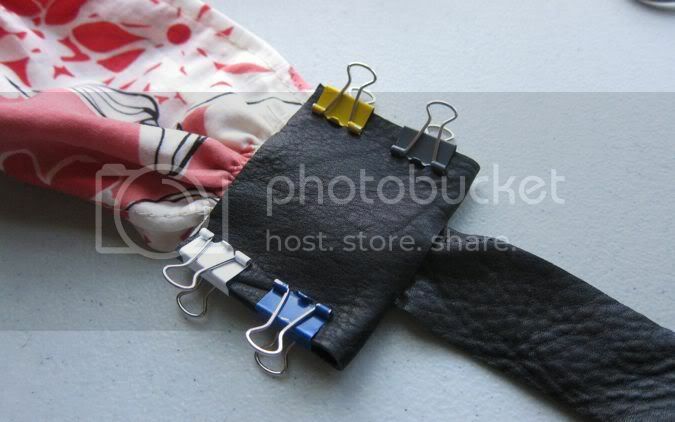 This week I'm showing you how to make a sweet summery sash using this recycled cotton skirt and a small amount of recycled black leather. My original plan was to giveaway the belt but I changed that for two reasons. I decided instead to create an equally sweet little key pouch from the same fabric and recycled leather and host a new giveaway for the pouch. It's perfectly sized for your cards and cash, cell or compact camera. And did I mention that you can attach your keys? But hold on. First, let's make the belt. *Note* I'm an estimator. My apologies. I try my best. 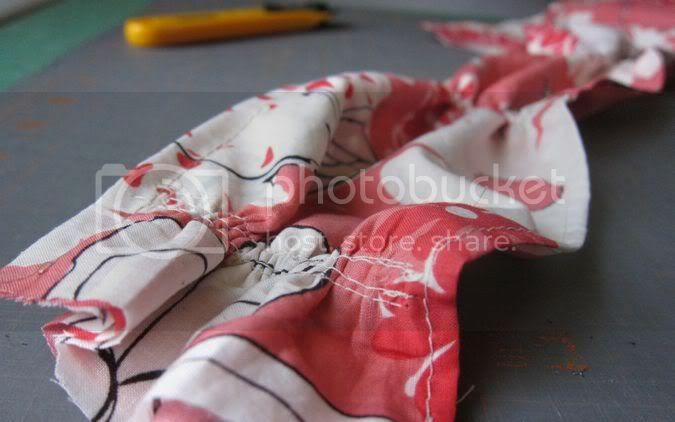 I cut a strip of this fabric about 14" wide. 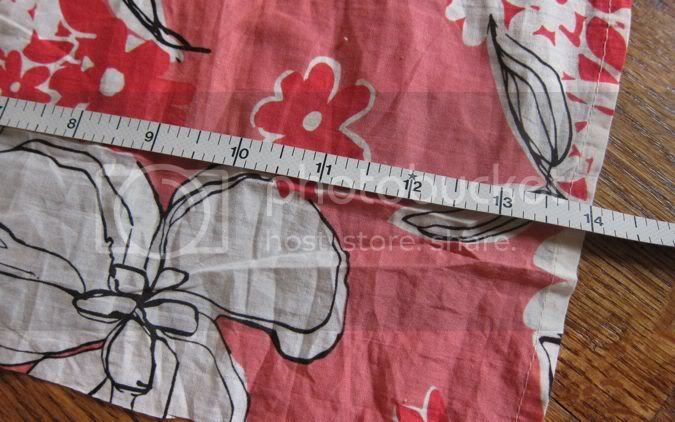 Measure your waist and subtract about 2-3". This will be your length. 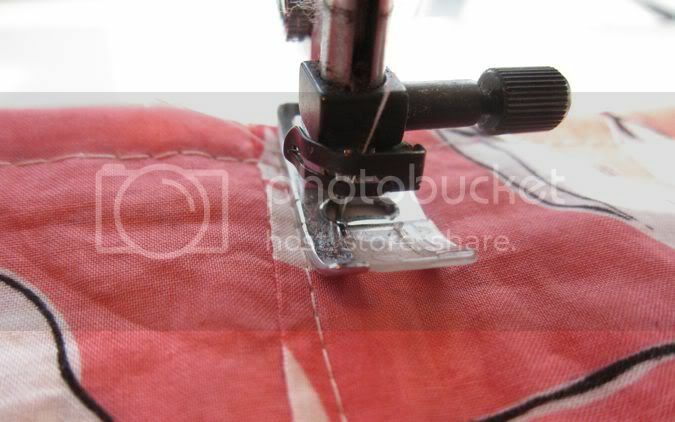 Turn under along one side and stitch to hide the raw edge. 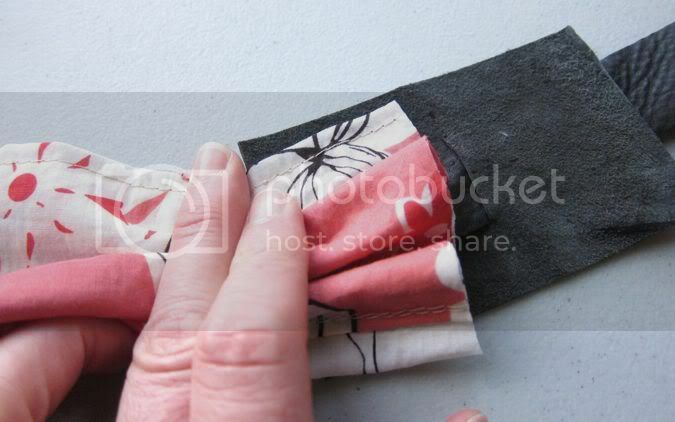 Fold over one third on the unfinished side, then fold the finished side over that. 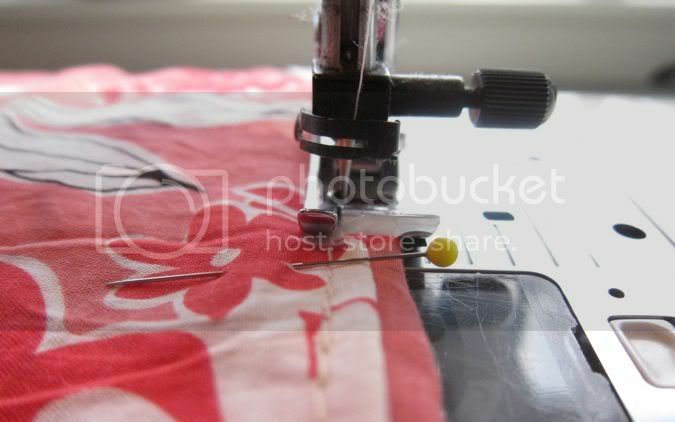 Stitch along this side to close. 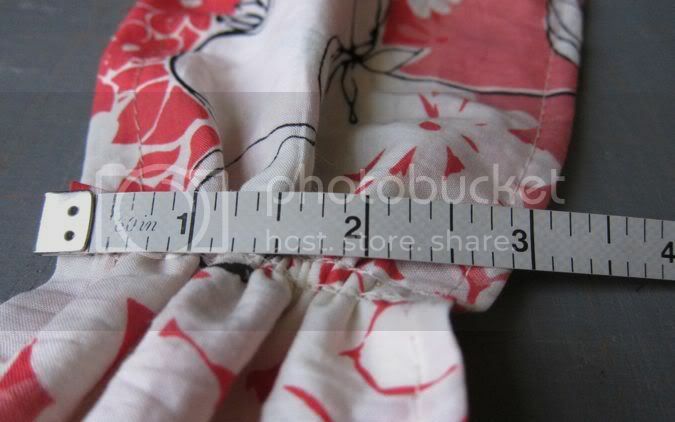 I basted (widest stitch length) across the width - two seams 1/4" apart. I spaced my double stitched sections about 5" apart. 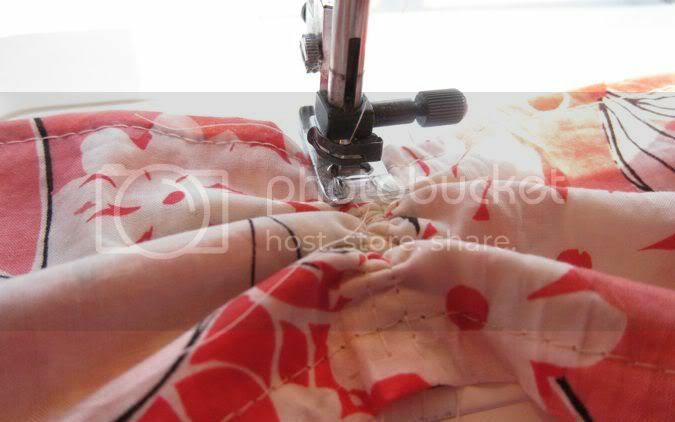 Pull the unfinished thread to gather. 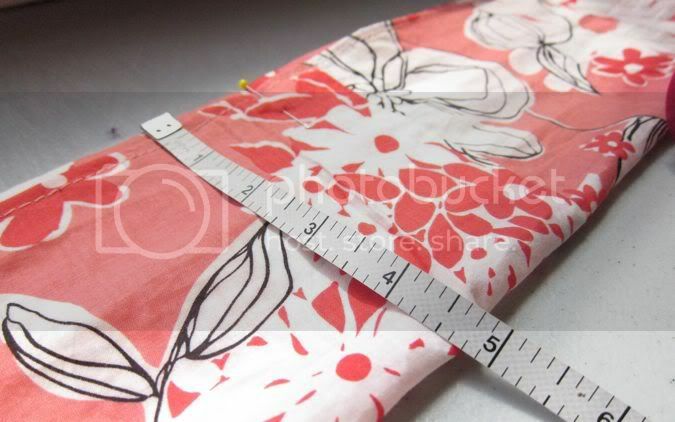 My width is about 2 1/2"
Stitch again over the gathered sections to hold in place. 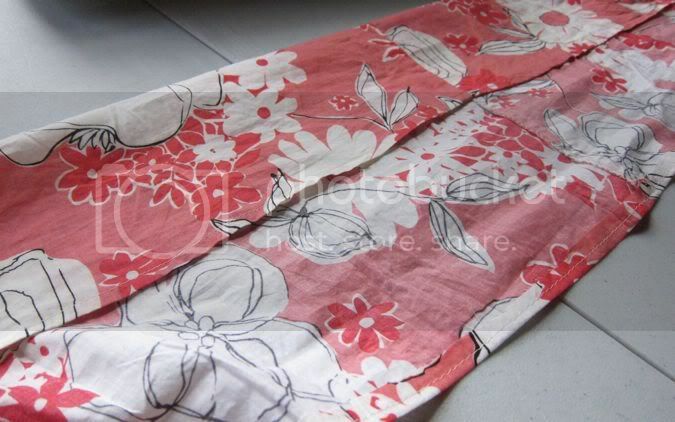 This is the finished fabric section with edges finished and sections gathered. 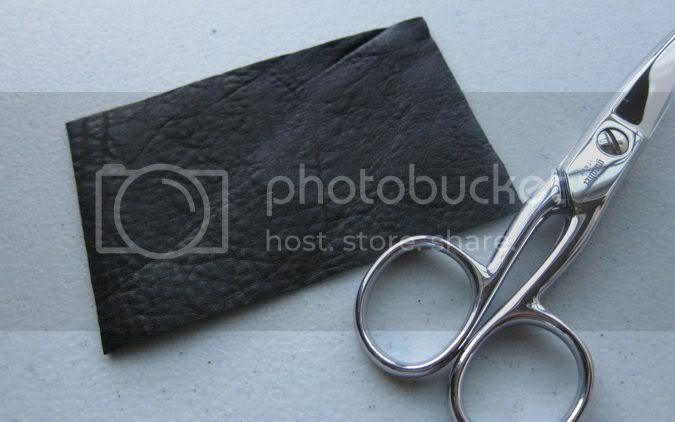 cut two pieces of the leather - 4" x 2.5"
mark the center width and expand markings by 1/2". 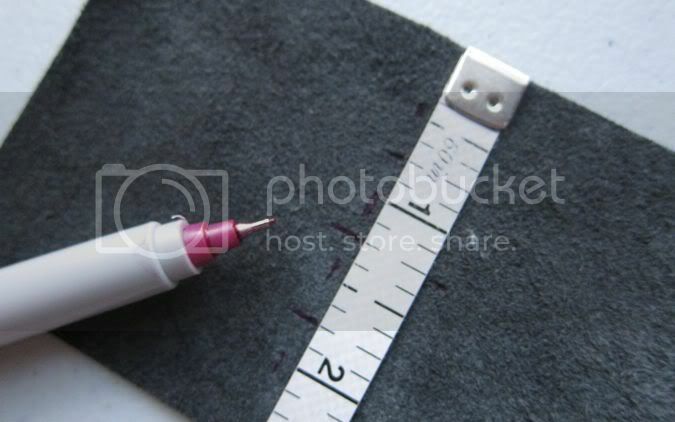 You will have marked a 1" section. 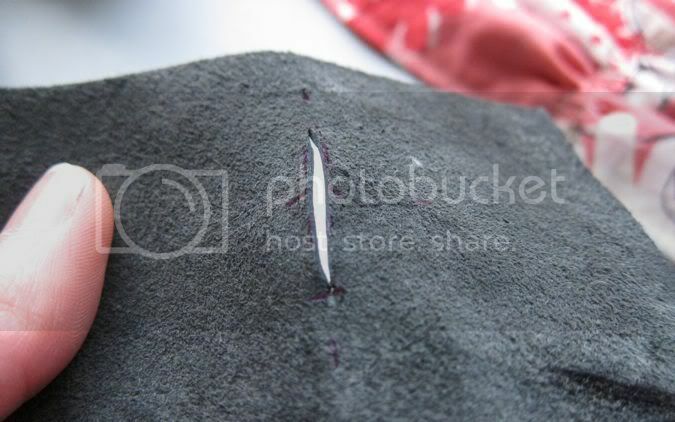 cut open your 1" slit (I used my seam ripper). 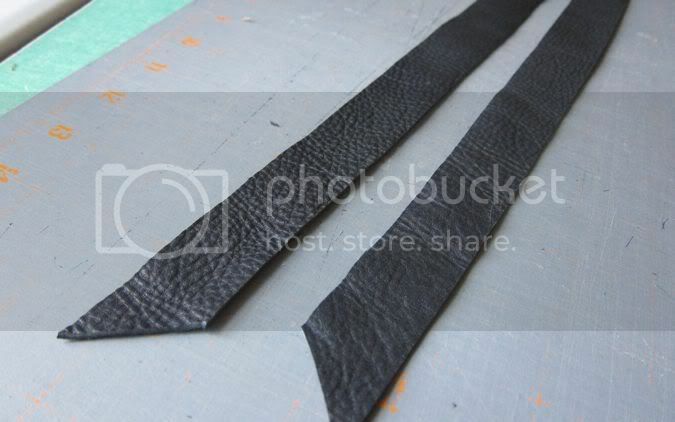 Cut two strips of the leather 1" by about 14-15"
slide the end of a strip of leather through the slit, front to back. 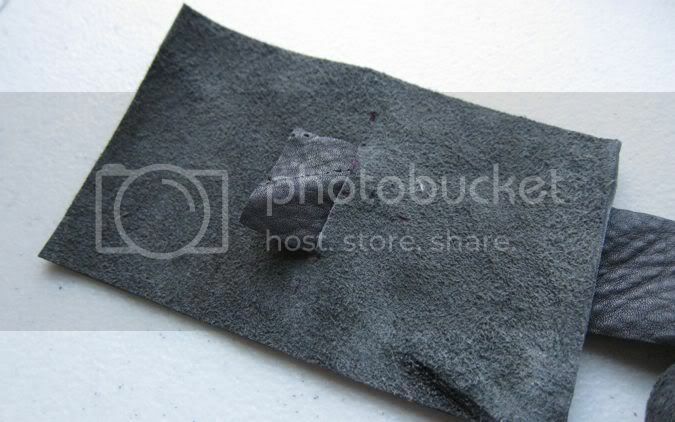 Place the gathered end of the fabric inside the end of the leather. 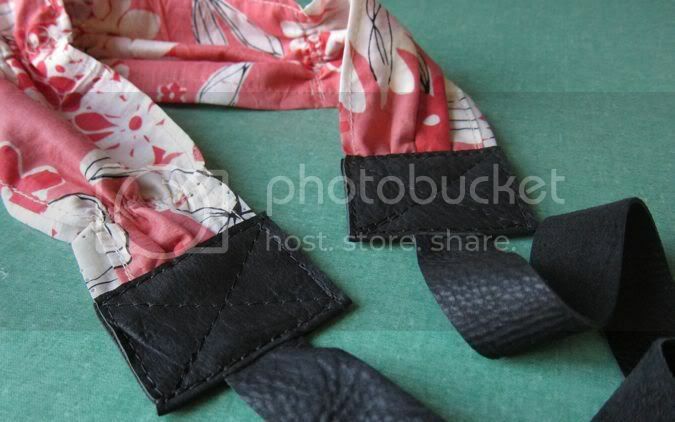 Double the leather over so that the longer strip is sticking out one end by about 1/2" and the fabric is gathered and sticking out the opened side. Clip. Stitch all the way around. 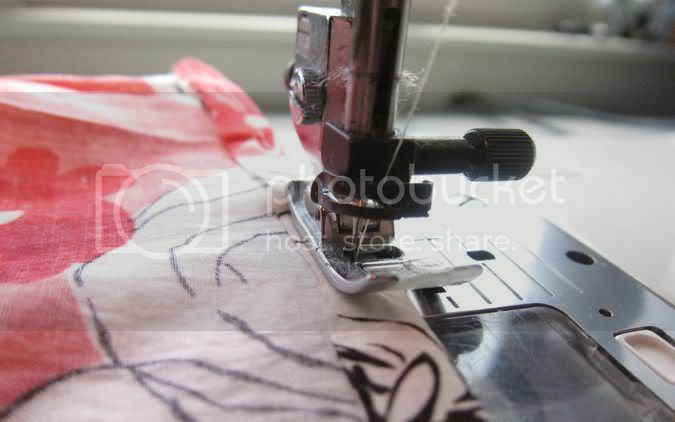 I then stitched an "X" shape. 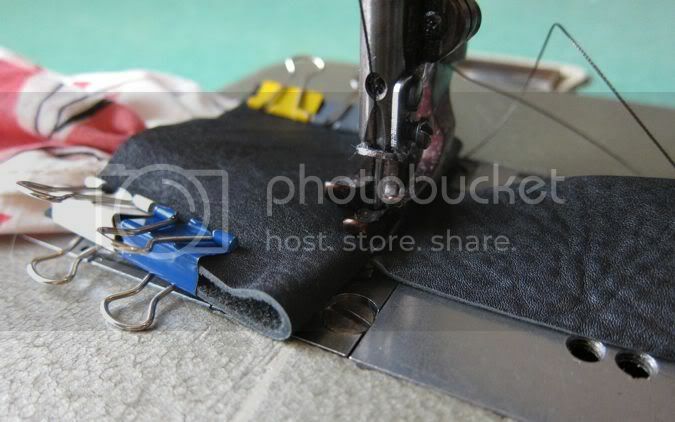 I used my industrial machine, but a regular machine can be used if you have a leather needle (no more expensive than a regular needle) and set your machine to it's widest stitch width. And now how to win that sweet little pouch. 4: Name the one cosmetic item you can't live without and why. Good golly Miss Molly! That's FOUR entries! Enter one time, enter four times - it's all up to you, my friend. Your chance to enter will end this Sunday, May 8th at 11:59 EST. I would be LOST without Chap-stick! It's the one cosmetic that I actually use! The belt is cute.... definitely wouldn't fit me! But i may perhaps make one to actually fit! Love the belt and the teeny purse. That belt is gorgeous! I love the soft pretty pink against the black leather! I have to have my lip balm no matter what! I love your blog and you are so talented. I can't live without eyebrow pencil because I don't have any. 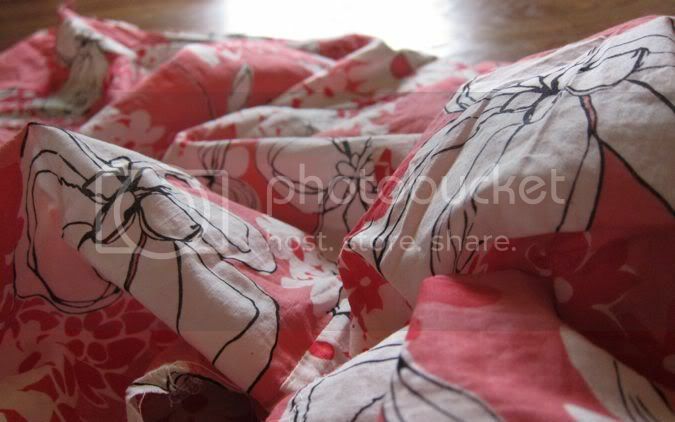 I follow your blog and I shared this link on facebook. I don't need to win, since I won one of your sweet giveaways recently. (I love it, BTW!) I had to comment o the belt... I think it might have fit my Dalmatian, not me! I can't live without mascara 'cause you can't hardly see my lashes otherwise. Love the belt and little bag. Pawpaw Moisturising cream - good for everything; lips, feet, dry skin just about anywhere. 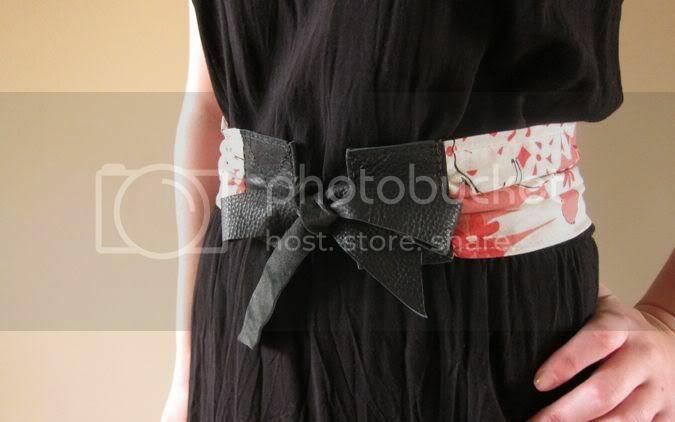 I love this belt!!!! There's so much you can make out there that I never once thought of! im on your mailing list. my one item is lipstick or lipgloss .. gotta have some lip color if nothing else. I love that belt! 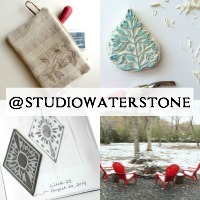 I follow studio waterstone! I CANNOT LIVE without my chap stick! my eyelash curler. definitely a product I cannot live without. 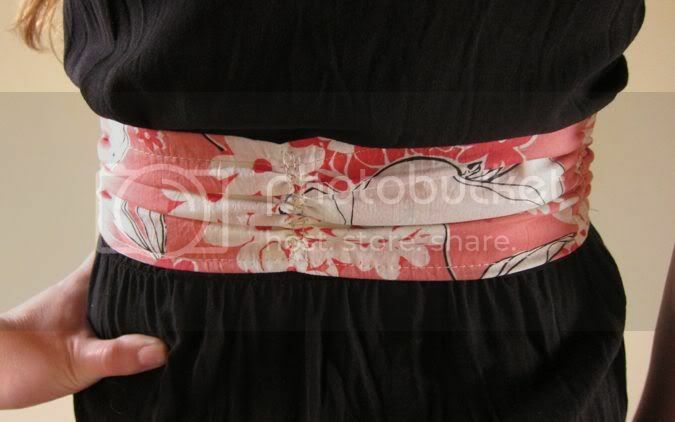 I love the belt - maybe that's a new line for your shop? I would be lost without mascara! Count me in on the give-away, I follow this amazing blog, and I can't live without my eye drops - can't wear make-up without 'em. My pressed powder compact is a MUST! You never know when you might have a shiny nose...Love the fabric! 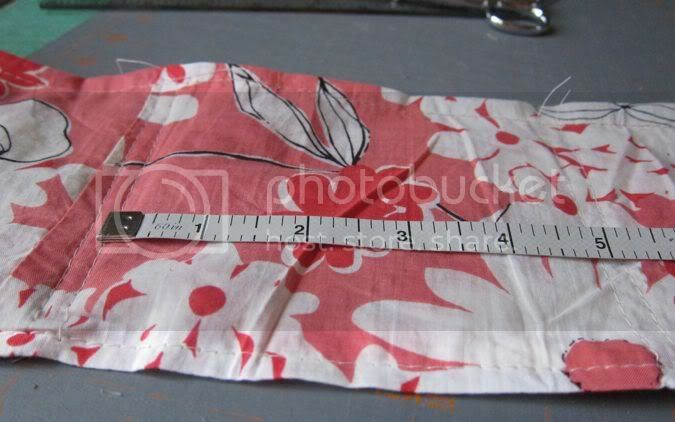 Such a cute little pouch! I hate to leave the house without at least a little foundation/cover up...allergies mean that I usually feel like I have dark circles under my eyes that must be disguised!